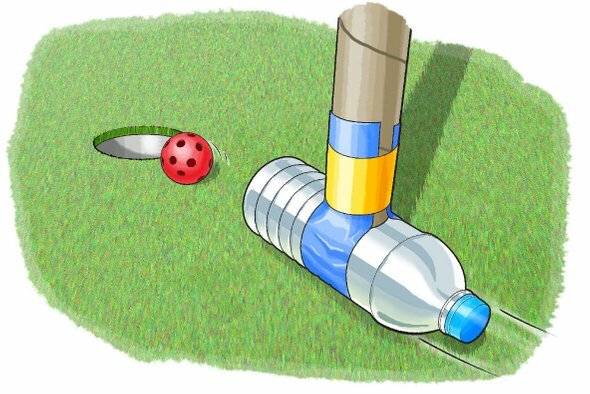 Make Your Own Sports Equipment #MakerEducation « Adafruit Industries – Makers, hackers, artists, designers and engineers! Cool warm weather project from Scientific American. How many sports can you think of where the athletes use something to hit a ball or a puck? Think about the size and shape of that item used in each sport. You’ll quickly realize that they are all very different. A baseball bat is long and skinny, for example, whereas a tennis racquet is short and wide. Golf clubs and ice hockey sticks have long handles, but the head of a golf club is much smaller than the blade of a hockey stick. What do you think would happen if you tried to play hockey with a tennis racquet or baseball with a golf club? It probably wouldn’t go very well!